Crime is a phenomenon that is present in every advanced society, and there is always a demand for competent, intelligent, creative and innovative individuals whose job is to look out for the security of many. The College of Criminal Justice Education shall be working in partnership with various criminal justice and law enforcement agencies to assist its students for on-the-job training and immersion; and to further enhance the skills, competencies, and professional network of our students to help them jumpstart their criminal justice careers. 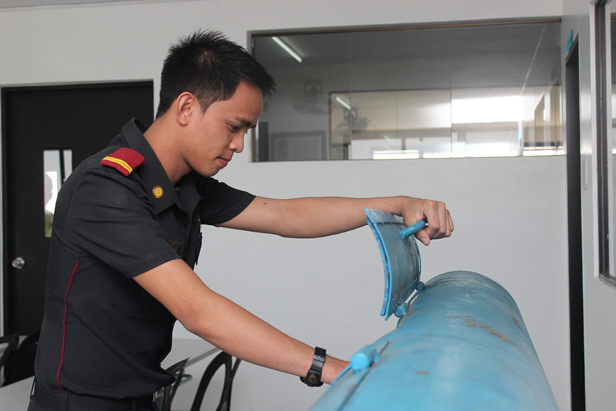 The College is also equipped with highly sophisticated and state-of-the art crime laboratory facilities and equipment to support the skills training and development of future law enforcers, public safety officers and criminal justice agents. Bachelor of Science in Criminology Bachelor of Science in Criminology is a four-year program designed to prepare students for careers in Law Enforcement Administration, Scientific Crime Detection and Correctional Administration. This program may be used as a preparatory course for Bachelor of Laws and Letters (LLB) or Doctor of Jurisprudence (JD) (as Criminal Lawyer). The graduates are entitled to all the privileges and opportunities embodied under RA 6506 (An Act Creating the Board of Criminology in the Philippines). As such, graduates are required to take and pass the Licensure Examination for Criminologists to allow them to practice the profession as CRIMINOLOGIST.